@Lobsterthermidor: I'm so sorry, I didn't see your earlier message! (Horrible ADD). I think your images are fantastic in appearance but they're supposed to be in SVG. I only replace them as I come across them - I'm not targeting your stuff at all, so I hope you don't feel that way. Reasons vector is preferred: The vector images are lossless as opposed to bitmap PNGs/GIFs/JPGs, which is why the "this file should be recreated in vector" template gets slapped on new shields that aren't in vector. See below. Also, SVG files tend to also be much smaller in size, which means they take up less server space and download quicker. For example compare the sizes of Arms of Mowbray.svg (32kb) vs. MowbrayArms.png (138 KB). Finally, the vector shields can be easily fixed and altered or updated by anybody, or their elements reused, which is another reason why they are encouraged. For example, the Chichester arms - anybody who spots a mistake can fix very easily without having to recreate the whole thing. Since it's vector, it doesn't have to be me. Hi Wikimandia, to some of your last uploads I added the Image generation (or Imgen), so you can see its usage. Hi Wikimandia. Hope you had a great weekend. I was wondering whether you could have a go at creating the following? File:Cheyne alternate arms.svg - Cliequy or and azure, a fesse gules, fretty or. File:Cheyne of Innerugie arms.svg - Azure a bend between six crosslets fitchee argent. File:Cheyne of Esselmont arms.svg - Quarterly, 1st and 4th, as Innerugie; 2nd and 3rd, argent three edock leaves slipped vert, for Marshall. File:Cheyne of Ireland arms.svg - Gules four fusils in fess conjoined argent each charged with an escallop of the field. Just wondering if you would be interested in creating these? Apparently related to Aton and de Vesci. Langdale. Quarterly, 1st & 4th: Sable, a chevron between three estoiles argent (Langdale), 2nd & 3rd: Barry of ten, Argent and Gules, on a canton Sable, a cross patonce Or (Etton). File:Arms of Langdale of Etton.svg ?? ?Not sure if Barry of number is correct??? A couple of requests to start off. Constable - Quarterly, gules and vaire, over all a bend or. File:Arms of the Constable family of Everingham.svg. Constable - Gules a bend or. File:Arms of the Constable family of Flamborough.svg. Constable - Sable a cinquefoil between eight cross crosslets or. 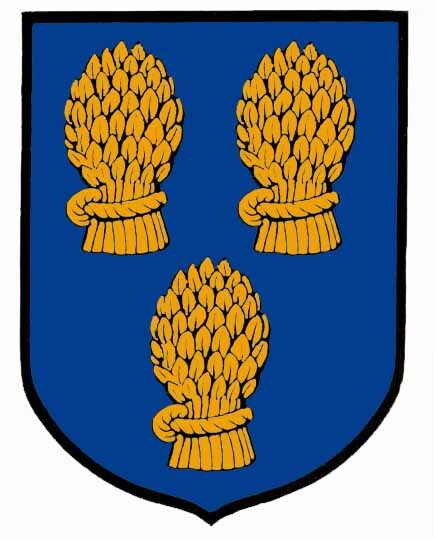 File:Arms of the Constable family of Catfoss.svg. Hi Wikimandia, I hope you had a great chirstmas. Just a couple of question on the arms you created. FitzWilliam arms- Lozengy argent and gules. File:Arms of FitzWilliam.svg - Just noticed a few different numbers of lozengy across on variants of sheilds? FitzWarin - Quarterly by fess indented argent and sable. File:Arms of William FitzWarin.svg - redirect to File:Arms of Fitzwarin.svg which is gules. The example identified by Dugdale, indicates William differenced his by sable. Can you create new arms for William? Baron of Halton - Gules charged with four Fusils conjoined in pale each fesswise Or. File:Arms of the Baron of Halton (modern).svg - The fusils don't appear correct? I have seen an example where the top fusil touches the top of the shield. Your thoughts? Hi Wikimandia, hope you had a Happy New Years. Just a few to start off 2018. I note your creation of arms for the Babingtons of Dethick with the ten torteaux. Would you be kind enough to create one for Bebington/Babington (a branch of the ten torteaux family) whose arms are 'Sable, three stags' heads cabossed Argent'? These arms are similar to those of the Cavendish family though they are comprised of three stags rather than three bucks. Hi Wikimandia, just a few requests for February. No rush whenever you can. Moray - Azure, three mullets of six points argent, within a bordure 11 roundels. File:Arms of Andrew Moray (d. 1297).svg - Heraldry in Scotland (Vol.1) p. 194. Check bordure colour and roundels as the colour is not identified? Moray - Azure, three mullets argent, within a bordure 8 roundels. File:Arms of Thomas Moray (d. 1361).svg - Check bordure colour and roundels as the colour is not identified? Hi Wikimandia, I have been experimenting with some creation of heraldry via Inkscape and I have uploaded a few recently. Can you review the following files which I am not 100% happy with and wonder if you could go over them and tell me what I did wrong? File:Arms of Murray (modern).svg - Its huge, was expecting 600x660px and I don't think it has shading correct nor gradient? File:Arms of William Murray of Tullibardine (d. 1297).svg - The label and stars don't seem to be correct/not happy with them? I was wondering if you could help with the following? 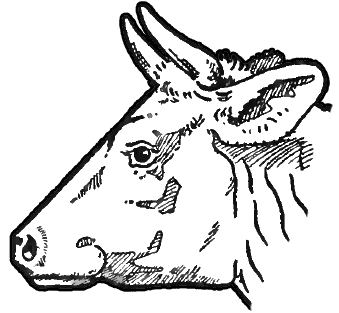 I am after a cows head erased, in a similar style to File:Boar's head erased (scottish heraldry).svg and File:Griffin's head erased (heraldry).svg. I note alot of cows head's erased on Commons are 3D versions, however I am after something more historically representative. I have found a image online which I think could be used for the basis of such. I am also after a British version of the covered cup/beaker, which is shown in this image. Can you add South Sudan in File:Cyrillic alphabet world distribution.svg? I am adding South Sudan (as well as Montenegro and other possible missing updates) in the PNG maps in Category:Maps needing South Sudan political boundaries and then remove this category after updating them. There were close to 1100 maps since I started to update these files on 1 March 2018, now it is reduced to less than 580 maps, but there is a long way to go. Unfortunately I don't know how to edit SVG maps, that is why I asked you. Wikimandia, when you have some time, could I get the following arms created? Thanks Wikimandia. I will upload to applicable pages. Please let me know if you are still looking at the April and May requests? Hi Wikmanida. I just have a couple of questions regarding two files you uploaded recently. File:Stewart of Rothesay.svg - Scots Roll shows Prince of Rothesay (heir to Scottish throne) with a label of three points azure. The label is shown across the lions shoulders. This is also identified by McAndrew, as the arms of Duke of Rothesay. Thanks for the creation of the arms. Return to the user page of "Wikimandia".